Portugal is currently the country with the greatest annual intake of fish per person in the European Union, and the third in the world after Iceland and Japan. In fact, Portugal can brag about having the best fish in the world swim in its waters; this fact is acknowledged by some of the best Chefs de Cuisine all over the world. Everybody knows that noble examples of our fish are flown out to restaurants worldwide. As far as consumption goes, one must eat consciously and, thus, sustainably, which is the only way to keep a balanced maritime food chain. 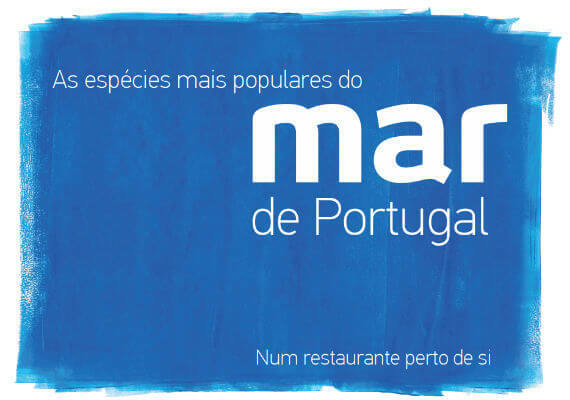 Ciência Viva has published a catalogue titled “The most popular species in the Portuguese Sea”, where they present the main species of fish of greater economical interest, which make their way from the Portuguese sea to our table. 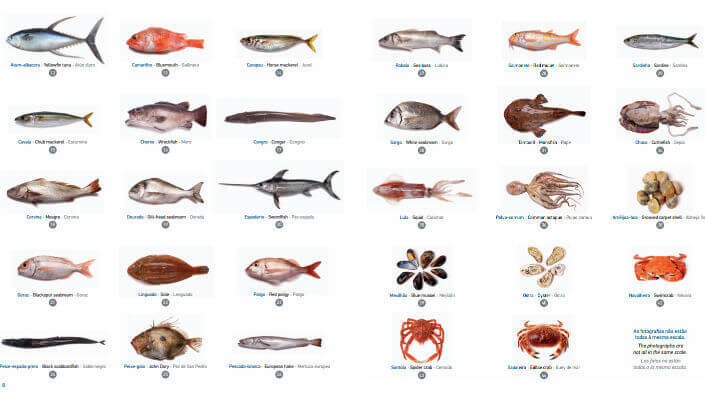 In total, twenty species of fish were selected, three types of cephalopod, three bivalve and three crustacean. For each species presented, their main morphological features, such as habitat, etc. For all of those interested, the catalogue is available here for free. Well, if the Portuguese call the shots when it comes to fish, in white wine we are starting a buzz. Besides, these days Portugal undoubtedly offers the best whites around – whether in profile or in quality – to accompany fish at the table. Mankind thinks with the stomach; a fact that relates regional cuisine to the wine produced in the same area. Just think about it: the best combinations are cuisine plus wine of a specific region. Regarding white wine, the leap in quality that Portugal has seen in the last two decades has made all of this possible. Furthermore, these days, there must be no better pair for our fish than our wine, Portuguese Wine. 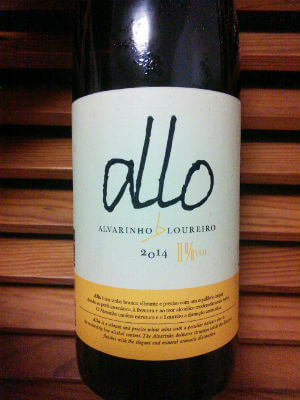 One example is Allo 2014, created in Quinta de Soalheiro (Vinho Verde), and the product of the plot of land between Alvarinho and Loureiro. While the Alvarinho variety gives it the structure and vigour, the Loureiro variety contributes with all its exuberance. This results in an addictive wine with only 11% alcohol, but if you relax, the next thing you know is the bottle is empty. 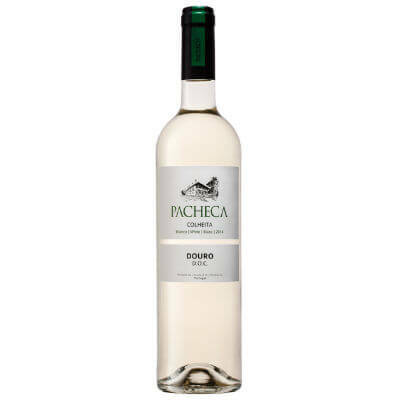 It is a proper terrace wine, with a scent of summer, suggesting seafood or, as we had, oven-roasted Red Snappers, combined with all the freshness of aromas and flavours, and an invigorating acidity that will cleanse your palate completely as well as make you take another sip. 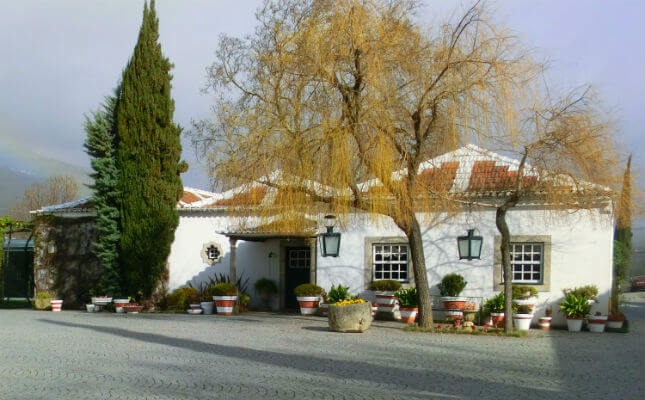 For more on Quinta de Solheiro and its wines see here. 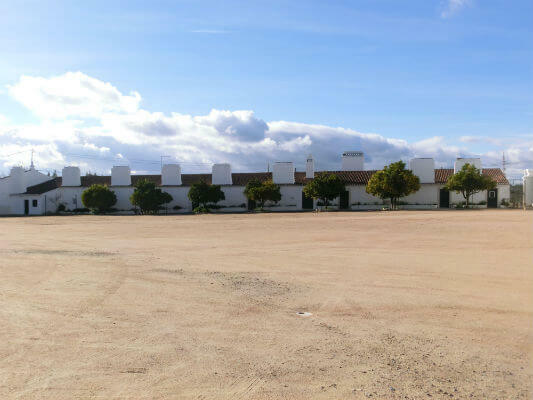 Alentejo encompasses a significant number of magic places; whether for beautiful scenery, never-ending lands, earth-grown products or historical families and buildings. 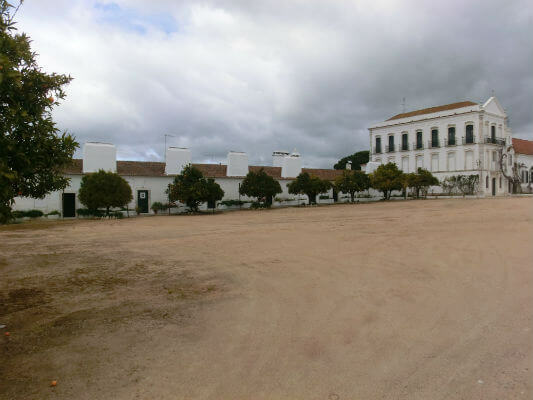 One specific location in the Estremoz region includes all of the above: Quinta Dona Maria, dating from the 18th Century, which belonged to king D. João V at a point. 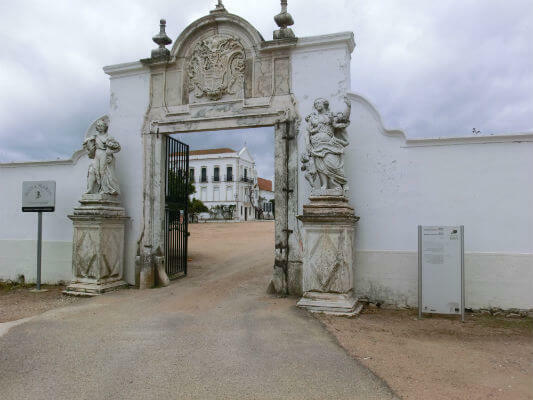 The current owner, Júlio Bastos, has proven his skills in maintaining the beauty and quality of the facilities, so rich in history, and the magnificent surrounding gardens. 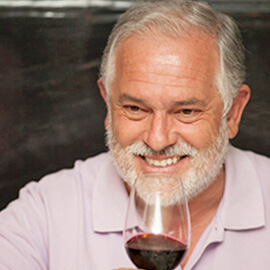 His other talent is investing in producing high-quality wines, these days renowned worldwide as deluxe products. It is made from very good grapes of different species, of which Alicante Bouschet stands out amongst the reds. 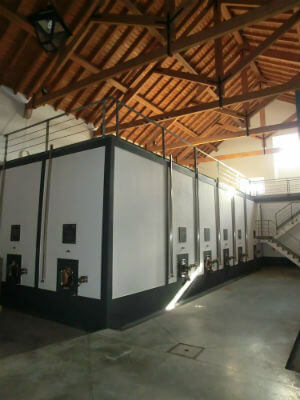 The grapes are prepared in an old cellar – very well restored with beautiful presses made of marble from that region – where they still crush the grapes under their feet. Powerful wines age there – with strong character yet very elegant, with a particular profile and excellent potential to accompany food. When wine is grown with rigour, vines are well guided and watered by nature, your grapes turn out very sound. 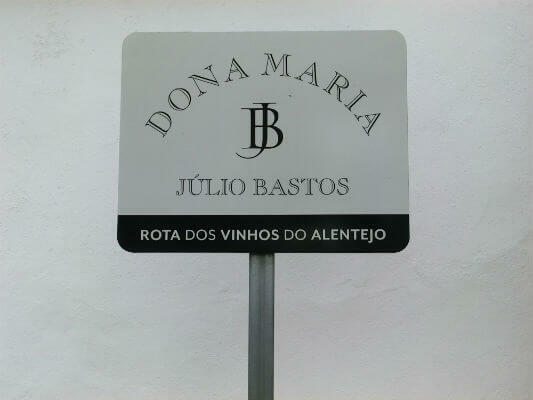 Later, they are timely harvested and carefully selected to make wines with the Dona Maria signature. 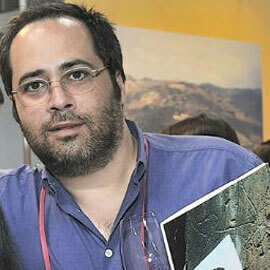 On our recent visit, we were greeted by oenologist Sandra Gonçalves and the owner, Júlio Bastos. They brought us on a tour of the austere yet beautiful cellar, revealing what grape preparation process lies behind such good wines. The cellar’s wood ceilings are fantastic, along with supporting columns with ceramic vaults surrounded by thick stone walls, which also house the old cement reservoirs, still in use after restoration. 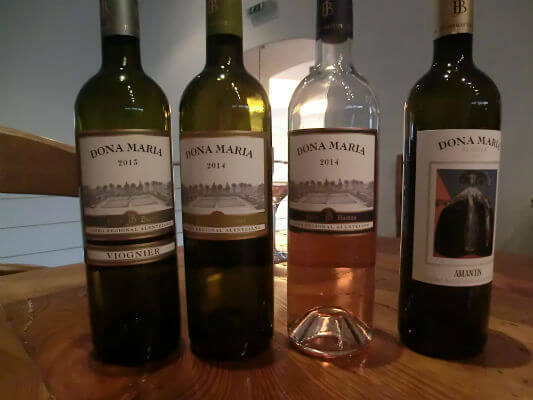 Dona Maria white 2014 maintains the tropical aroma profile – quite citrusy, refreshing, of balanced acidity and great volume in the mouth. The Amantis white 2013 let the Viognier species shine. It had very soft tropical notes and some white fruits, with a hint of smoke, balanced acidity keeping it very elegant. Viognier 2013 still felt very young, combining aromas of white fruits and a light floral scent, but very elegant, with volume in the mouth, full, intense acidity but balanced, with an excellent aftertaste. Next, an amazing Rosé 2013, very balanced, with soft tropical aromas alongside a complex mouth, very refreshing, with notes of tropical fruits, strawberries, jam and acidity that connects all of the above, and a great aftertaste. Moving onto the reds, Dona Maria Red 2012, a brand with aromas of ripe red fruits, light smoky notes and blackberries. It’s lively in the mouth, with excellent acidity, intense red fruits and good volume, a well-balanced wine. 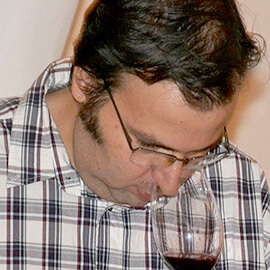 The red Touriga Nacional 2011 reveals the quality in that year’s harvest. The elegant aromas of violet and bergamot with light smoky notes and some spices contrast with the full mouth – velvety, with notes of red fruits and some chocolate, and excellent acidity. Next was Amantis Red Reserva 2009, a muscular wine, complex, with aromas of ripe dark fruits and refreshing. In the mouth, it’s volumous, maintaining complexity, notes of mint, red fruits and some spices, persistent acidity and a beautiful aftertaste. 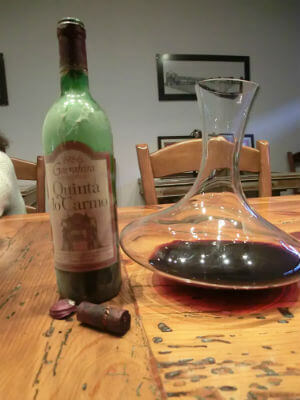 For the grand finale, Júlio Bastos opened a bottle of classic from this farm, Quinta do Carmo Garrafeira 1986, previously decanted. It showed violet hues and some brown smatterings, which determined its age; very elegant, a smooth velvety nose and some red fruits. In the mouth, it is delicate, smooth, of deliciously soft tannins, full of complexity, very balanced acidity, persistent, slightly smoked, with a very, very long aftertaste. It gets better if opened a few hours beforehand and proves that Alentejo reds also age well. Cosmic scale aside, ‘a century ago’ is a long way away. Back then, the world was black and white… at least it’s what photographs show. Nonsense aside, reaching that milestone is worth celebrating. Although not absolutely extraordinary, the truth is few humans get to say they got as far or beyond the one-century-old hurdle. Just a few days ago, Portuguese filmmaker Manoel de Oliveira died at the age of 105. Those who met him say he was very youthful – just like these wines. However, not one single year did José Vasques de Carvalho, great grandfather of the current manager, let go of a harvest. He kept everything until 1880. It’s a gem – confirming the vision of this eighteenth-century farmer. Back to the main point; what can we taste now? 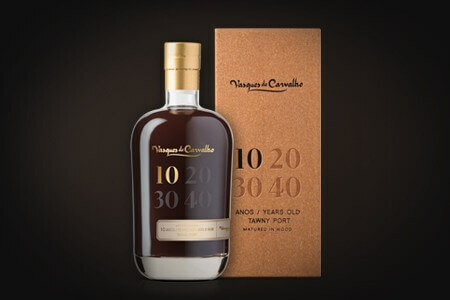 Besides Port Wine, Vasques de Carvalho are presenting a wine collection, whose origin is identified as the Douro region. That designation is common to all the wines, as is a very elegant and scented profile. Because the white grapes are bought outside Portugal, I believe the design is oenologist Jaime Costa’s craft, of renowned competence. All the wines are refreshing and elegant. 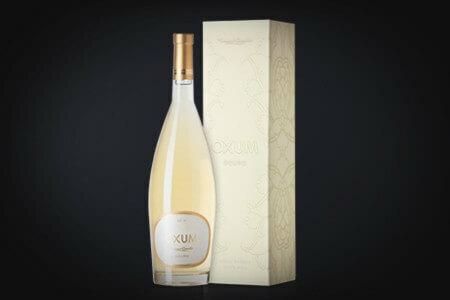 The 2013 White Oxum encompasses viosinho, gouveio and rabigato grape species – a good conversation starter for passionate oenophiles, who often debate nose and mouth. Jaime Costa, once an army general, uses words like “very mineral, with fruity notes of peach and ripe citrus.” I beg to differ and, in agreement with my tasting partner, would say: delicate without being fragile, with a bouquet of soft jasmine, orange tree blossom and a pinch of lemon. The mouth, unfortunately, is missing something scent-wise. Each chooses one, between these two and other options. All in all… a beautiful wine. 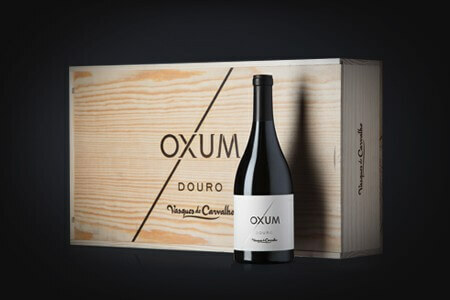 Oxum Red 2012 keeps your appetite keen. Elegant and enjoyable, I feel some Douro in it as well as exceptional elegance. Above it is X Bardos Red 2012 – robust as a knight and pleasant, with remarkable depth in the mouth. The Tawnies we tasted are not alike. Oh, the elegant aromas present in these wines. I did expect the 10-year-old Tawny to stand out more. I believe it could be improved. Ten years aren’t the same as 40, the comparison being an intellectual exercise. 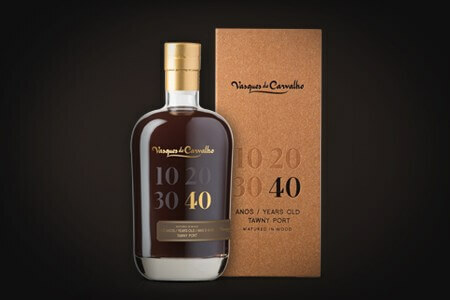 Vasques de Carvalho 40 years is a brilliant wine. Brilliant! Brilliant! Brilliant! I wish them success, because producers at this level are always welcome. Right, I almost forgot: the company will be selling 750 bottles of the 1880 wine. A few thousand litres of this treasure will remain untouched in the vats. An “all-inclusive” wine, better to taste it for yourself. In the peacefulness of the picturesque village of Provesende (Douro) reigns a cozy atmosphere, full of tradition. The fresh and clean morning air is taken by the smell of baked bread that travels the streets and guides us to an obligatory visit to the bakery. 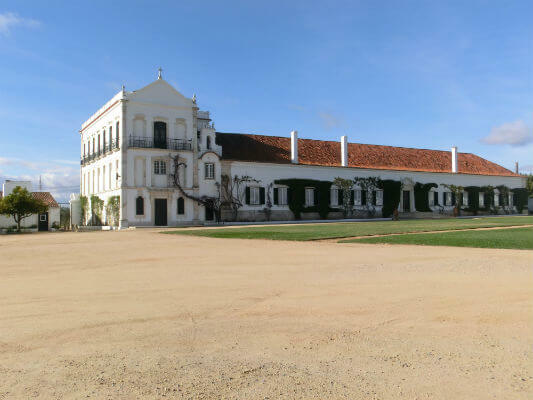 One of the most ancient manors in the village is Casa da Calçada, a stately Douro manor whose foundation dates back to the sixteenth century belonging to Morgado da Calçada, built in the late seventeenth century by Judge Jerónimo da Cunha Pimentel and remaining in the family until the present day. 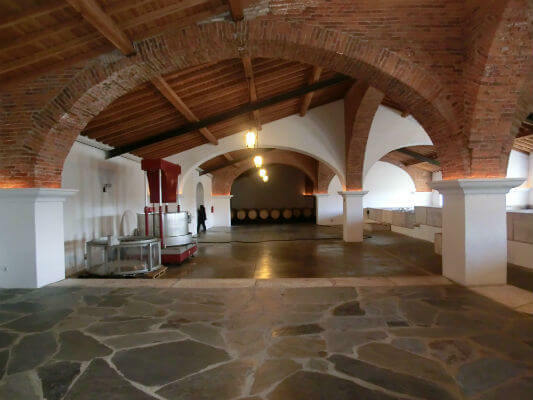 Manuel Villas-Boas opens the gate that gives way to a set of old farm buildings, recent objects of deep and careful rehabilitation, which resulted in a beautiful wine tourism unit. In total, there are eight bedrooms and swimming pool, where good taste is allied with tradition and a needed slight touch of modernity. If we combine all this with the art of hospitality of Manuel Villas-Boas and the regional cuisine, the only thing left is to approach the beautiful wines that are produced there. In fact wine has always been part of the history of that house. A visit to the old cellar only confirms this with the presence of stately and historic wooden casks. The approximately 4.5 hectares of vines live alongside the house. Their conversion began in 1980 ending around the 90s. 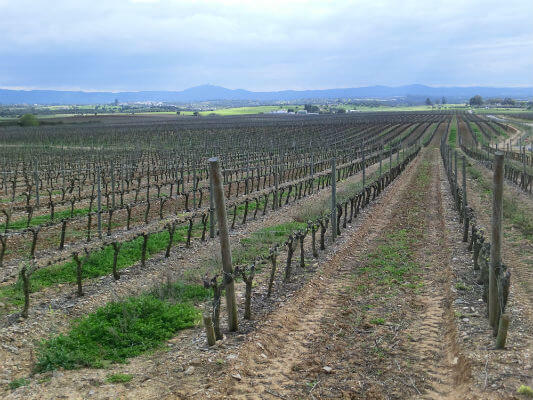 The vineyard is divided into three parts: the oldest with more than 100 years, one of white grapes about 2.5 hectares long and around 20 years old and the other red varieties of approximate 30 years of age. 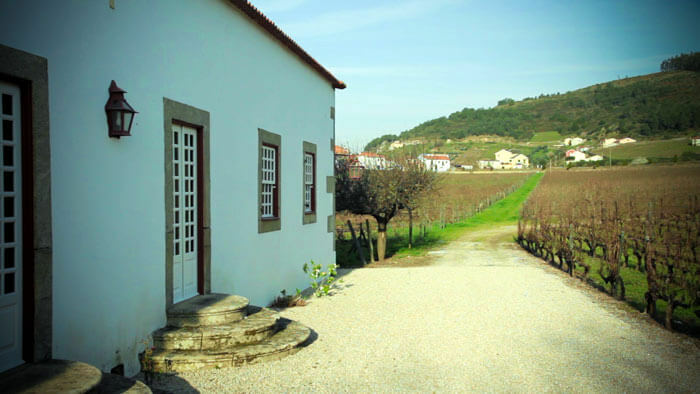 It was then that the partnership Casa da Calçada – Niepoort was created with the emergence of Morgadio da Calçada. 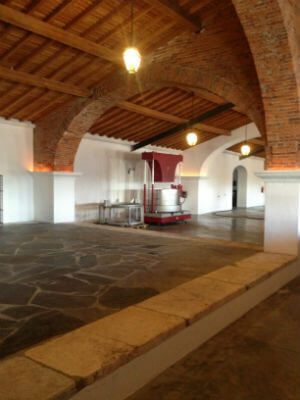 The entire winemaking process is handled on Quinta de Nápoles (Niepoort). No detail has been left to chance, the design of the labels has the signature of the architect Siza Vieira for table wines and the architect Michel Toussaint for Port wines. Dirk Niepoort is an admirer of the vineyards of Provesende, creating wines of great freshness and elegance helped by the 600 meters of altitude and the broad temperature range. 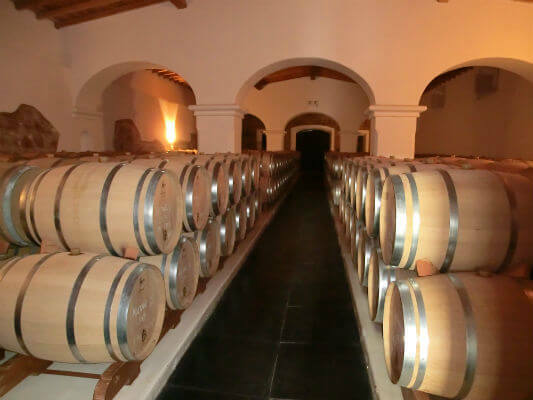 In tasting, none of them are marked by oak and all show a huge gastronomic appetite. Consequence of a great year, in it reigns the cleanness and freshness of ripe fruit (citrus, white plum, pear) of great quality. Only 60% of the blend went through oak in a very new and energetic set, dominated by mineral austerity in the background. Elegant taste in mouth, fruit present with harmony, some oak toast with freshness to involve the whole set. A wine that grows with time in the glass, benefits if decanted, showing an exquisite bouquet with fruit present (citrus, white plum), complex, elegant and inviting. 100% passed through oak, gaining some heaviness in a more structured and profound, complex and serious profile than his younger brother. Very good presence in mouth, with mild creaminess, full fruit flavor in a spicy, mineral, lingering finish. Aged in used barrels, discreet oak sustains a set dominated by fresh red/black fruit (berries, raspberry) gluttonous with mild sweetness, a hint of smoke and cocoa. Very elegant, with good structure, palate full of freshness and fruit, engaging finish with slight dryness. 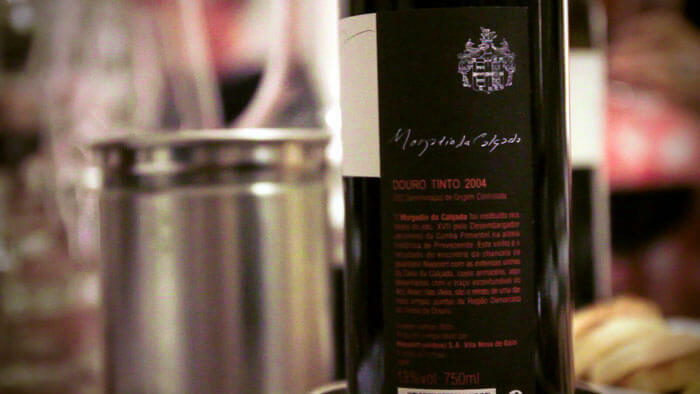 It was the first red of Morgadio da Calçada, simply delicious, captivates immediately. The clean fruit, ripe and very well defined, is shown bathed in a cape of mild sweetness, wrapped in freshness and complexity, spices, cistus, cocoa, deep and conversationalist. Full of flavor and freshness, soft on the palate, very refined, light trace of vegetable and spice in the mouth, long and persistent finish. Very good. The Reserva born from the best grapes from the oldest vines is serious and complex, a slight austerity is felt so characteristic of red Douro, asking for time. Expressive fruit (cherries, blackberries) with notes of cistus, spice, notes of liquor, mineral, elegant and soft on the palate. Tasty with rich texture, freshness and depth, in a red of excellence and class.